“WONDERFUL NEWS EVERYONE!” Origin is now back ONLINE instructions are going up now… Scrolllllllll down. This also means that existing installs that point to the now Origin-less Chem-Diamond6 will not function even after the licensing is fixed. We’re working to see how to connect older installs to the new licensing server, but that’s a distant 2nd in priority to just getting the new system up and functional. Again apologies for the inconvenience. Watch this space for updates. It is available for Windows only. 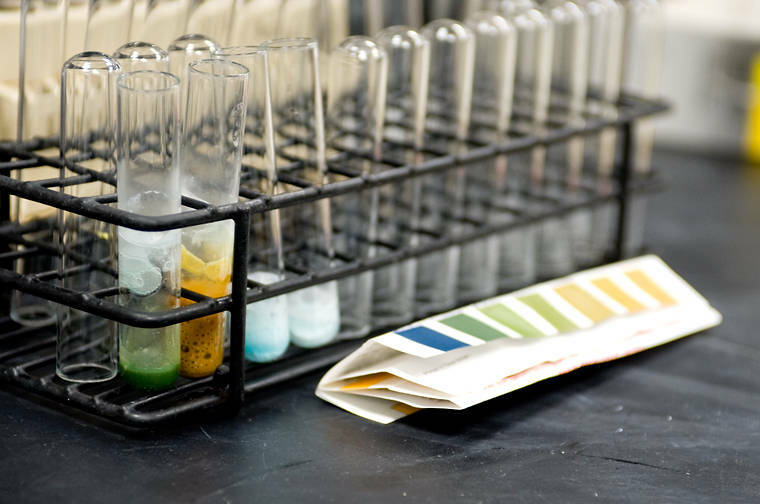 It is available to faculty, staff and graduate students. We use a concurrent network license. You can install Origin Pro on as many computers as you like. Each computer must be connected to the Internet when you launch Origin. As this is the new 2018 version of Origin AND the Origin License Manager, we’ve only been able to fully test on computers that are within the WSU AD, on wired connections. If the installation process varies for WSU Wireless or WSU SSLVPN connections we will update these instructions accordingly. Origin has historically required a multitude of Microsoft pre-req software packages, and this version has more than ever. In an attempt to mitigate confusion and complexity, we have created a custom installation script that will automate steps and save you several dozen clicks. It will install all pre-reqs packages you don’t already have, and skip ones you do, then it will install the main application. PLEASE follow these directions closely! 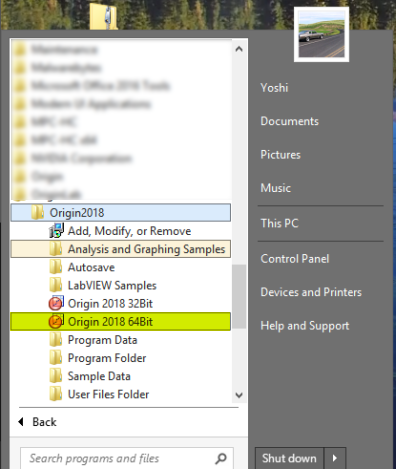 COPY the “Origin2018SR1.zip” file to your “Downloads” or “Desktop” or anywhere you’ll remember how to get back to. This file can be deleted after install. 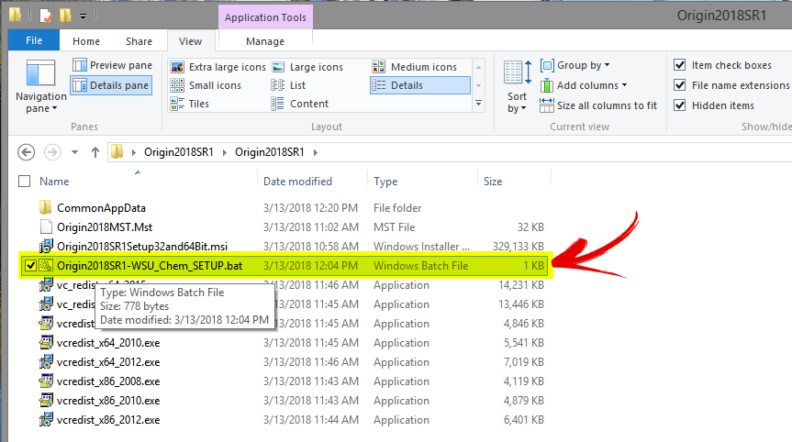 Once copied locally to your computer UNZIP all contents to a new folder/sub-folder. This folder can be deleted after install. Once you get through verifying all required pre-req packages the actually Origin installer will start itself, it also has been automated to minimize required user interaction. Run the program! 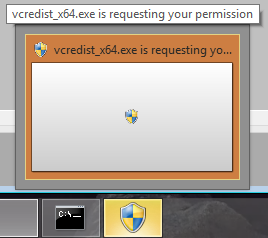 Verify that it found the licensing server (chem-diamond7.ad.wsu.edu), if it has issues finding the server it’ll tell you straight away. Remember that if you’re using Origin from off-campus (or even some flakey areas ON-campus via WiFi) you need to be on the WSU SSLVPN BEFORE firing up Origin. Last, this version has the help files removed in order to cuz the filesize down by 2/3rds. If needed they can be downloaded via the internal Origin Updater, as can Origin Central.